We've always felt that GM's big Two-Mode Hybrid pickups and SUVs are unjustly ignored by green-car fans. No, they're not small five-door econoboxes. Far from it. But while raising city mileage from 12 to 20 mpg doesn't sound like it saves that much gasoline, it actually does. 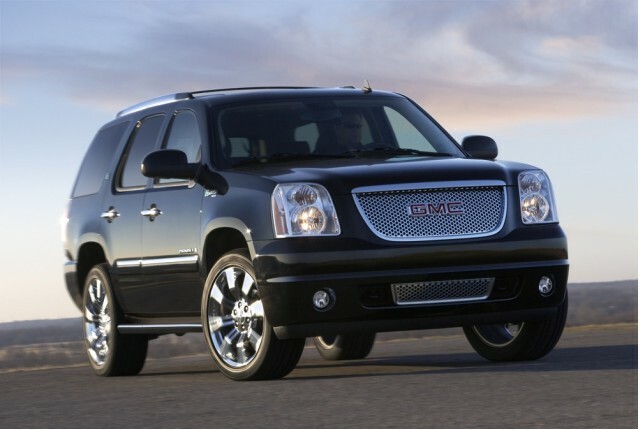 Now, as we report on TheCarConnection.com, GMC will launch the uber-luxe 2009 GMC Yukon Denali Hybrid at this week's New York Auto Show. The new high-end hybrid Yukon follows in the footsteps of the equally upper-bracket 2009 Cadillac Escalade Platinum Edition Hybrid. At first, we scratched our head and wondered why any of this mattered. With Toyota proposing to sell 180,000 copies of the new 2010 Toyota Prius, who cares about a few thousand copies of a $60,000-plus, seven-seat, 3-ton truck that happens to be a hybrid? The answer came a few weeks ago, from John Schwegman of Chevrolet Truck Marketing. While we drove GM's two new hybrid pickups in San Antonio, Texas, he told us that a full 25 percent of 2009 Cadillac Escalade buyers go for the hybrid option--much higher than the 5 percent who hybridize their 2009 Chevrolet Tahoe or 2009 GMC Yukon. In thinking about it, it sort of makes sense. If you have money, you can afford several thousand dollars for a feature that may not pay you back with $2 gasoline. The hybrid system becomes a "nice-to-have"--like the leather, the super stereo, and the huge chrome wheels. You don't need it, but you like having it. In the case of the Denali Hybrid, buyers benefit from stuff like standard 12-way powered front seats that have been heated, cooled, and "appointed" in perforated leather. Less-lucky second-row riders miss out on the cooling (they still get warmed) and the perforations. Owners also enjoy enormous gleaming 22-inch, eight-spoke chrome wheels. The Denali Hybrid is so feature-full, in fact, that it only offers three options: side mirrors with integrated blind-zone alert (for that Miata too low to see from your high-mounted throne), a sunroof, and a DVD entertainment system for rear-seat riders. After we spoke with Schwegman, we considered the sales prospects for GM's Two-Mode Hybrid lineup. 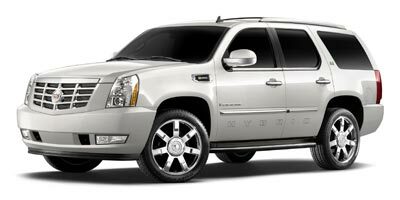 Now, with the Denali Hybrid plus the Escalade Platinum Edition Hybrid, that mix may be shifting upscale. GM has to move its Two-Mode Hybrids any way it can. Unless and until the United States gets a coherent, long-term energy policy--which may involve the unthinkable, higher and less variable gasoline prices--targeting the huge hybrids to wealthy buyers (some of them opinion leaders) is smart. Remember, Toyota got traction for the Prius years ago when Hollywood stars started showing up in them at premieres. Nope, a big blingy SUV with a "Hybrid" badge isn't a Space-Age, head-scratchingly different Toyota Prius. But we've seen way more big hybrid SUVs in Manhattan and Hollywood than in Texas, the epicenter of SUV-dom. It may not be much, but it's a start.